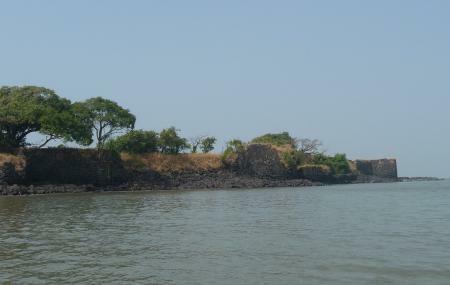 This is one of the two popular sea-forts in Alibaug. It is built on the Undheri Island, 1 km into the Arabian Sea. The British and the Peshwas ruled from here but the fort was originally built by the SiddiQasam in 1680. The building is mostly in ruins but there are certain priceless souvenirs from the past that make this place a must-visit for history enthusiasts. The sunset view from here is highly recommended. Also, the view of the sea is scenic and uninterrupted. Bargain with the boatmen and the carriage riders to make a reasonable deal. Love this? Explore the entire list of places to visit in Alibag before you plan your trip. Fancy a good night's sleep after a tiring day? Check out where to stay in Alibag and book an accommodation of your choice. How popular is Undheri Fort? People normally club together Versoli Beach and Awas Beach while planning their visit to Undheri Fort.